Let's get ready for the next ski season- check for discount ski tickets! 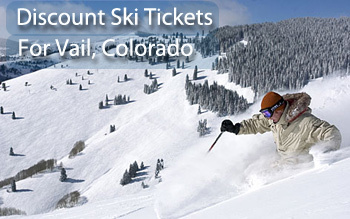 Check out our great Hotel picks and by owner vacation rentals for Vail! We offer discounts on ski tickets, lodging, by owner rentals by owner rentals (ski in and out only), and apres ski ideas for Vail, Colorado. Looking for Discount Ski tix for the upcoming 2018/2019 season? Check GetSkiTickets! 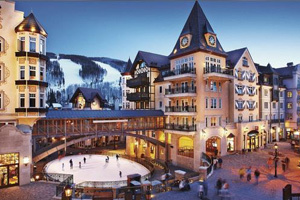 See All Our Great Hotels for Vail! Featured: Arrabelle at Vail Square - Book it! 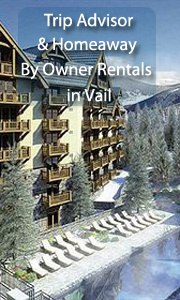 See All Our By Owner Vacation Rentals for Vail! 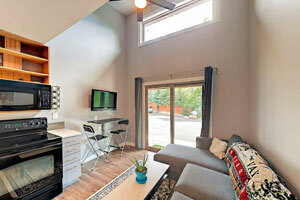 - Sleeps 2- 1 Bedroom 1 Bath, Sleeps 2, from $69 nt- Book it! VRBO 1146964- This brand-new 1BR West Vail condo is just a 9-minute walk from the Cascade Ski Lift. The free shuttle stops right outside and will whisk you to the ski lifts on Vail Mountain, Vail Village, Lionshead, Beaver Creek, and more. Great Apres Ski Ideas for Vail! Nightlife is amazing! 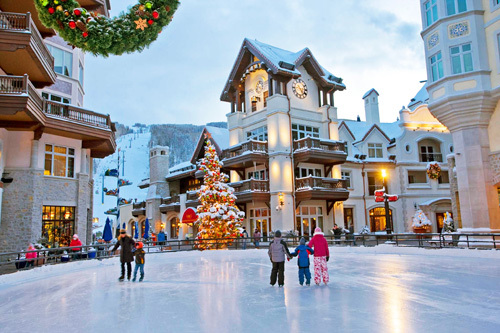 Check out our page on Vail restaurants, activities and nightlife! Christy Sports is at the base of Vail and offers 20% off of rentals if you order ahead. North America Ski Discounts had negotiated a relationship with Christy Sports and offers you a 20% discount thru our portal. Did you notice kids ski free? Call (970) 476-2244 for Christy Sports in Vail Ski Resort at the Base. Vail Mountain has fluffy bowls, exciting glades, and mile after mile of cruisers. Vail’s main attraction is that its big and known for getting more snow than other Colorado mountains, so anyone can find untracked powder. Vail Ski Resort is located in Eagle County, next to the town of Vail. The resort is composed of three sections: the Front Side, the Back Bowls, and Blue Sky Basin. Vail is best known for its Back Bowls, which get blanketed with insane amounts of snow. Enthusiasts travel to Vail to experience the thrill of powder skiing at its best. By Owner rentals in Vail!